Brexit is a planned drama for the people. If you want to understand brexit, understand this, no woman ever was a prime minister of Britain. 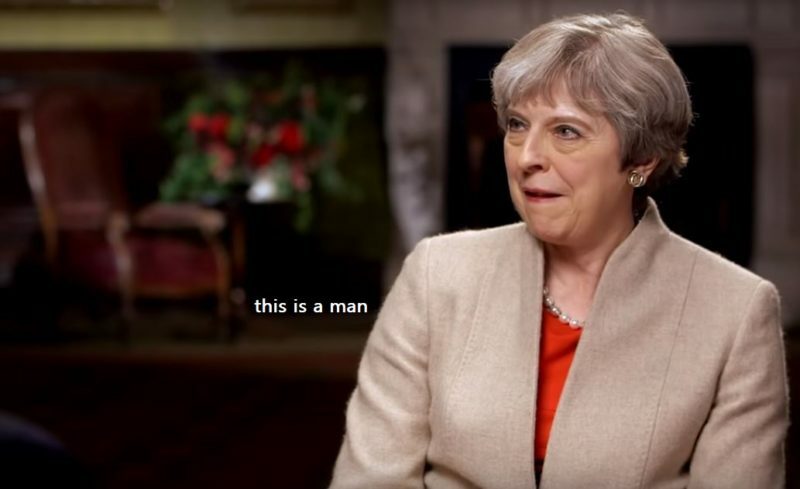 Theresa May is a man. Margaret Thatcher was a man. The position of prime minister, or president, head, of a country, is a freemason's post. Only a freemason may occupy the position. It is the same in every country. And no woman can be a freemason. Theresa May is a long, skinny, big-footed, no hips, man. He is deceiver on the people of Britain wearing necklace, earrings, and make-up. Ordo Ab Chao, order out of chaos. Brexit is the chaos. It was designed for that purpose. It is old-fashioned divide and conquer. Divide the people of Britain, primarily, and people everywhere. And it is a scam on the people, of course. It is another device to take money from the people, to make them work harder, work longer hours, and critically, keep them too tired, to even think things through. B=2 R=9 (18=1+8=9)E =5 X = 6 (24=2+4=6) i =9 T = 2. Total 33. Numerically, brexit is 33, like, orange, and diamond, and ribbon. It's a freemasonic, psyop on the masses. But it is also a way to unite Ireland, which I appreciate. Brexit is supported by the leadership of the European Union (EU). It is an EU project. It's a world government project. If you voted on it, you used your energy to complete a survey. The European Union is freemasonry. EU is 33. They want you to think no one is in control, they want newspapers to tell that story, and to intellectualise, and fill columns with what brexit says to nationalism, or conservatism, or modernity, just useless information. Brexit says you're sleeping sheep, who don't think, and are easily lead.